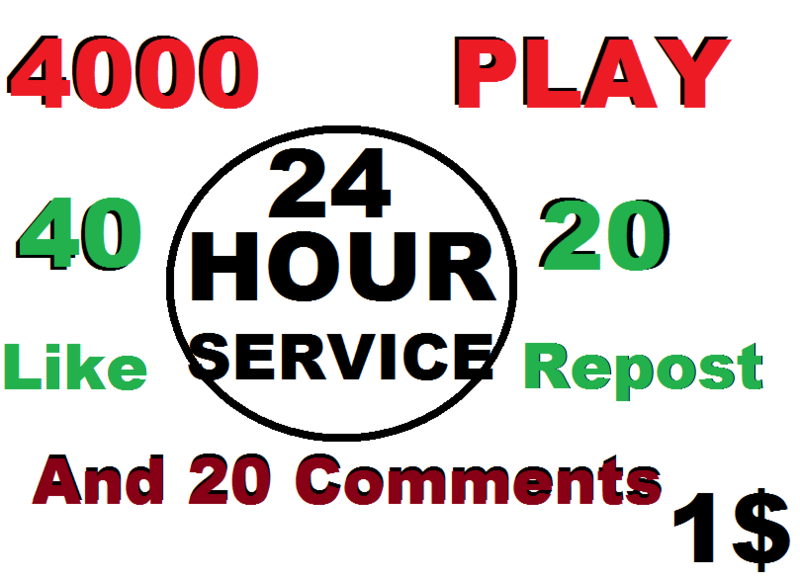 4000 plays 40 like 20 repost and 20 comments within 24 hour !! You can buy comment from Me !! 4000 plays 40 like 20 repost and 20 comments within 24 hour is ranked 5 out of 5. Based on 261 user reviews.